Interpol forced the Russian invaders of the Crimea to detain the militant from the "DPR". At the request of Interpol, one of the commanders of the so-called DPR Vadim Pogodin was detained in the city of Yalta in the territory of the Russian-occupied Crimea. 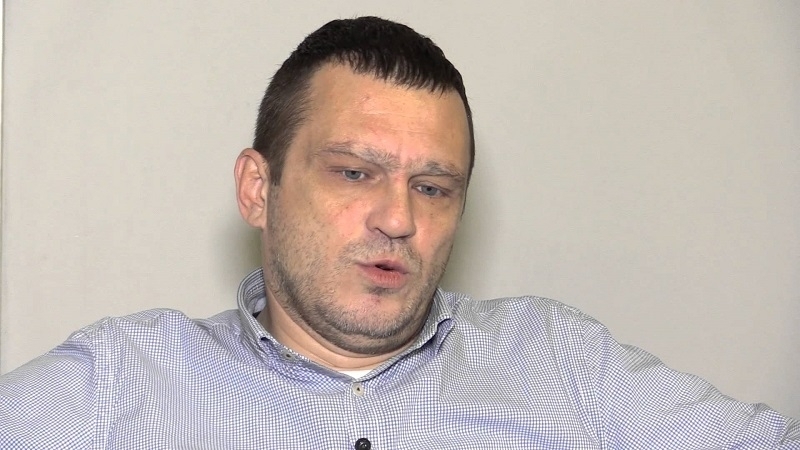 The source reports that Pogodin was transported from Yalta to a pre-trial detention centre in Simferopol. He was detained for 40 days. Under agreements with Interpol, Russia must extradite the militant to Ukraine. The terrorist is charged with Part 2 of Art. 115 of the Criminal Code of Ukraine (deliberate killing of a hostage or an abducted person, committed by prior agreement with a group of persons) and part 3 of Art. 146 of the Criminal Code of Ukraine (unlawful deprivation of liberty or kidnapping of a person). According to the information available, in 2014 Pogodin commanded a battalion of "DPR" militants called "Kerch" and had the relevant code name. He took part in the battles in Slavyansk, Kramatorsk and Donetsk airport. One of the crimes in which Pogodin is accused is the murder of 17-year-old Stepan Chubenko, whom the militants massacred in the summer of 2014. The teenager was returning to his native Kramatorsk, but in Donetsk the militants removed him from the train, allegedly seeing a yellow-blue ribbon on his backpack. The guy was tortured, and then shot. The parents were able to find and identify the body of the teenager only in August 2014. Three militants, including Vadim Pogodin, are suspected in the murder of Stepan Chubenko. The photos of the order to detain Vadim Pogodin are brought bellow.